From The New Rambler is a review of Divergent Paths: The Academy and the Judiciary by Richard Posner (Harvard University Press). There's also a review of Saikrishna Bangalore Prakash's Imperial from the Beginning: The Constitution of the Original Executive (Yale University Press). 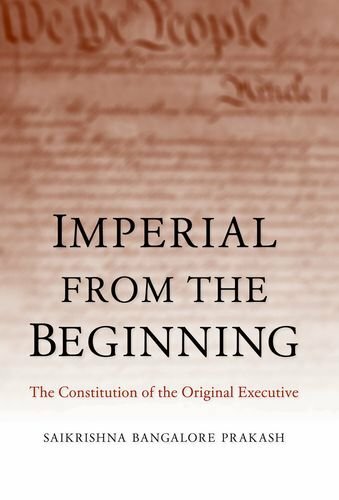 "The ghost of George Washington haunts almost every page of Saikrishna Prakash’s new book, Imperial from the Beginning: The Constitution of the Original Executive. It is a man, not a text, that dominates Prakash’s investigation of the creation of the American Presidency. From the Philadelphia Convention where Washington presided over (and likely influenced) the drafting of Article II, to the military quashing of the Whiskey Rebellion with Washington riding at the head of the new federal army--it is the “imperial” presence and practices of General Washington that Prakash believes generally represent the original understanding of Executive Power." H-Net adds a review of Radical Equality: Ambedkar, Gandhi, and the Risk of Democracy by Aishwarya Kumar (Stanford University Press). The Los Angeles Review of Books features a review of Mark Mulder's Shades of White Flight: Evangelical Congregations and Urban Departure (Rutgers University Press). 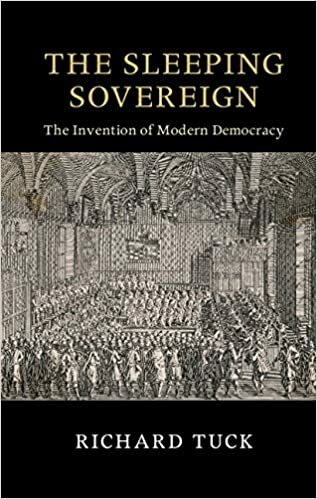 The New Republic reviews Richard Tuck's The Sleeping Sovereign: The Invention of Modern Democracy (Cambridge University Press). "... it is so refreshing to read Richard Tuck’s The Sleeping Sovereign. Tuck, a political theorist and historian of ideas, argues that the point of an eighteenth-century constitution (like ours) was not to limit democracy, but to empower it, even to rescue it from the dustbin of history. This is surprising because the counter-majoritarian difficulty has shaped so much of the American experience of constitutionalism in the last century." Illiberal Reformers: Race, Eugenics & American Economics in the Progressive Era by Thomas C. Leonard (Princeton University Press) has also been reviewed in the New Republic. The New York Times reviews Let the People Rule: Theodore Roosevelt and the Birth of the Presidential Primary by Geoffrey Cowan (Norton & Co.). 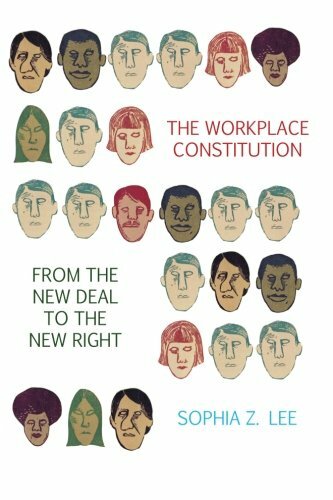 "Sophia Lee's The Workplace Constitution brings more fresh air to this stale field. Lee, a law professor and historian at the University of Pennsylvania, doesn't so much challenge the dominant paradigms of labor history as ignore them. And by ignoring them, she is able to address matters that labor historians have neglected." David Greenberg's Republic of Spin: An Inside History of the American Presidency (Norton & Co.) is also reviewed in the NYT. Melvin Urofsky's Dissent and the Supreme Court: Its Role in the Court's History and the Nation's Constitutional Dialogue (Pantheon) is reviewed in The Nation. "His book is a fascinating—­if at times dry and encyclopedic—­tour through the Court’s dissenting history. It dissects the many purposes of a dissent, some of them on display in Obergefell: to facilitate a future change in the law, to invite action from Congress, to provoke public scrutiny of the Court, to nitpick, to limit the scope of a majority decision. Dissent and the Supreme Court also illustrates a paradox: While a robust dissenting tradition encourages the free exchange of ideas, the Supreme Court unquestionably speaks most forcefully when it uses a single, unanimous voice." The Texas Law Review has a review of Robert Tsai's America’s Forgotten Constitutions: Defiant Visions of Power and Community (Harvard University Press) by Aziz Rana, as well as Tsai's response.